India and Asia offer some of the most compelling spiritual destinations for travelers and pilgrims. Sacred sites, shrines, temples, and religious communities attract worshipers and day-trippers alike. Some locations are holy sites for multiple religions or have been occupied by successive religions over millennia. In many countries, religion and spirituality is everywhere, deeply embedded into every aspect of daily life. In Japan you will see tiny neighborhood shrines on many streets. In India, religious symbolism and imagery is incorporated into every aspect of culture. In Malaysia, Indonesia and parts of the Philippines, you will hear imams calling the faithful to prayer several times a day. Some of the holiest sites make spectacular destinations for travelers as well as pilgrims. There are countless holy and mystical sites where travelers are welcome. Here are just a few of the best spiritual destinations where you will find breathtaking beauty alongside intriguing ritual and fascinating culture. On first impressions, it seems unlikely that Kota Kinabalu would be the site of a compelling spiritual destination. It’s a modern and bustling city which boasts shopping as one of its main tourist attractions. A visit to the famous ‘floating mosque’ will soon have you revising your opinion. The mosque sits atop a man-made lake and at sunrise and sunset appears to float in a magical and spectacular illusion. Bodhi Tree, Bodhgaya, India. Photo by Man Bartlett courtesy of Creative Commons. The Bodhi Tree is sacred in Buddhism because it’s the tree under which Gautama Buddha sat to meditate and receive enlightenment. It’s one of the four great pilgrimage sites for Buddhists around the world. The original tree from 2500 years ago has long since died, but new trees have been continuously planted in its place and it’s widely believed that they have been propagated from descendants of the original tree. Other Bodhi trees around the world have also been propagated from this famous historical lineage. 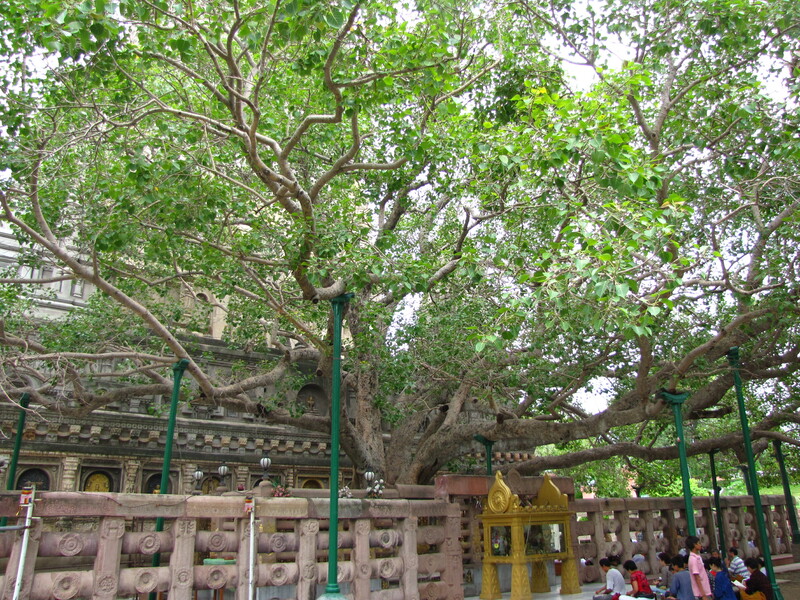 The Bodhi tree has been a site of pilgrimage and prayer dating back to Buddha’s lifetime and is held to have a mystical and peaceful attraction for all visitors. 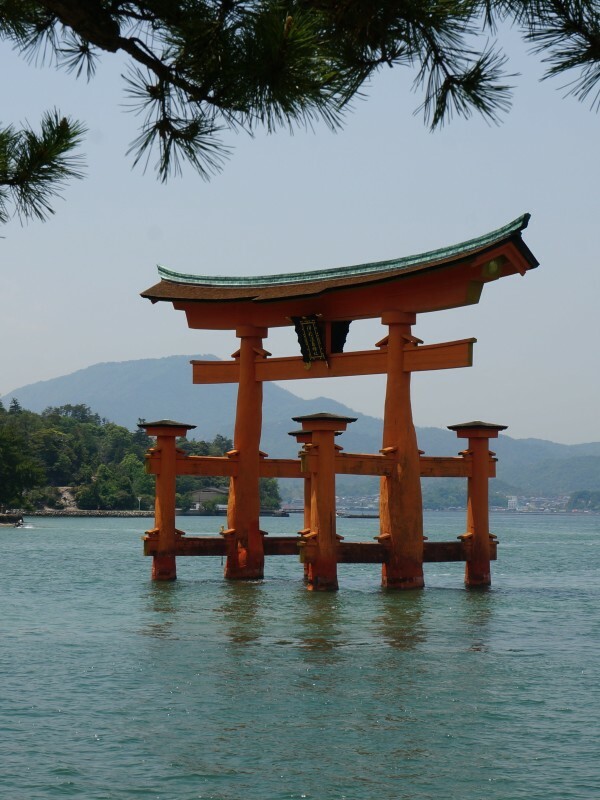 Popularly known as Miyajima, this Shinto shrine is famous for its brilliant vermillion gate, or tori, which appears to float in the waters off the sacred island of Itsukushima. The shrine consists of several pavilions build on piers which give the appearance that the entire complex is floating at high tide. The shrine at this location dates back to the sixth century, although like countless buildings in Japan it has been destroyed and rebuilt many times. Two hundred kilometres northeast of Yangon, a golden pagoda sits atop a precariously balanced golden rock, all sitting majestically at the peak of Mount Kyaiktiyo. The rock is covered in gold leaf, and in Buddhist legend is able to perch in this gravity-defying spot because it balances on a single strand of the Buddha’s hair. 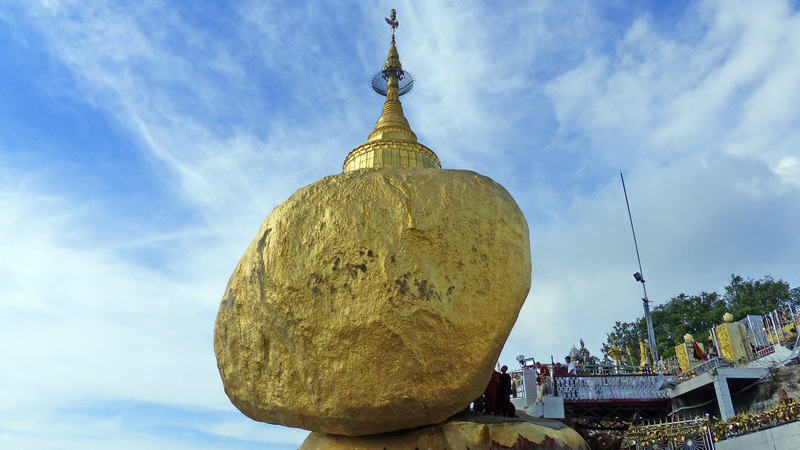 While the golden rock might defy some laws of physics, it attracts thousands of pilgrims and visits who bask in its serene glow.